And it’s the season for scarfs. Why not treat yourself to an Hermès? 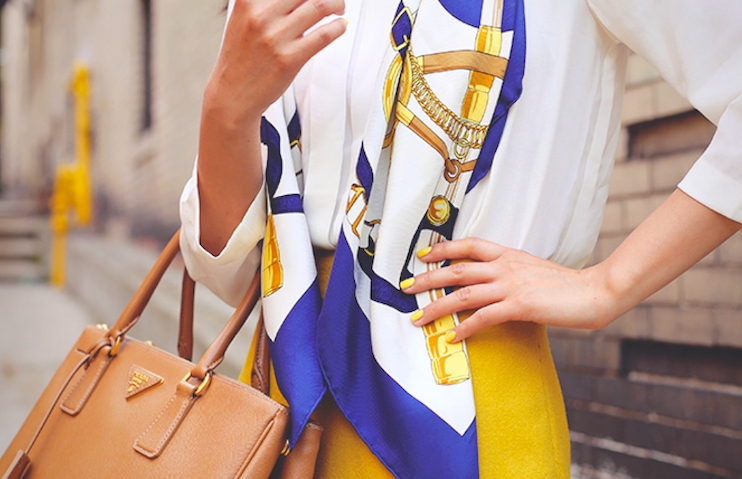 An Hermès scarf is iconic. Founded in 1837, the French luxury house Hermès began as a bridle and harness company for horses before branching out into the luxury handbags and accessories market. Today, Hermès is one of the oldest and most valuable luxury companies in the world, its name synonymous with quality and reputation. The Hermès scarf was introduced in 1937, 100 years after the company was founded. 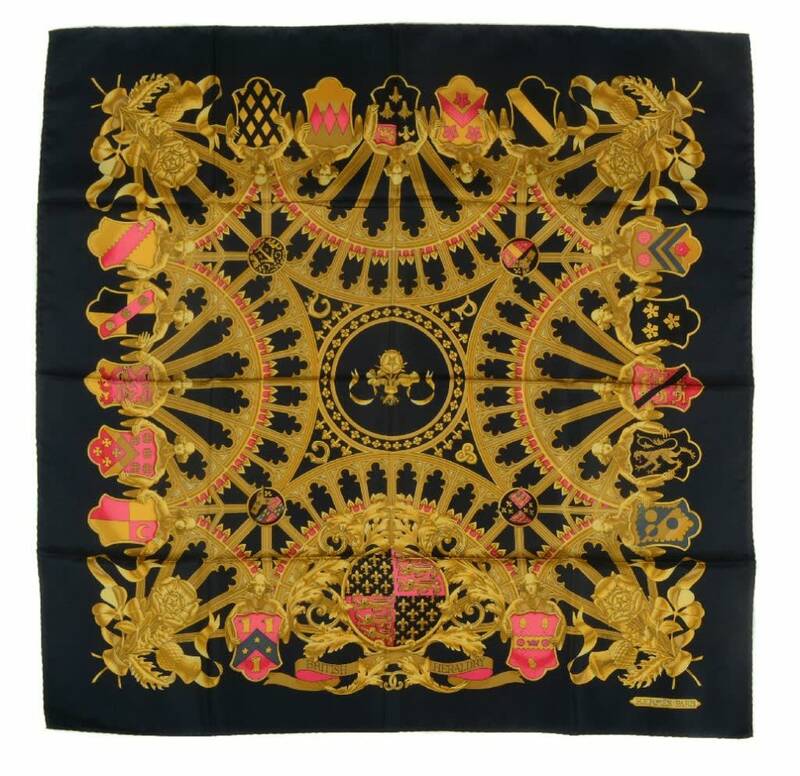 The very first scarf was based on a woodblock drawing by Robert Dumas, a member of the reputable Hermès family. It was made with imported Chinese silk, making it double the strength of any other scarves available on the market at that time. The scarf was, unsurprisingly, an immediate success. 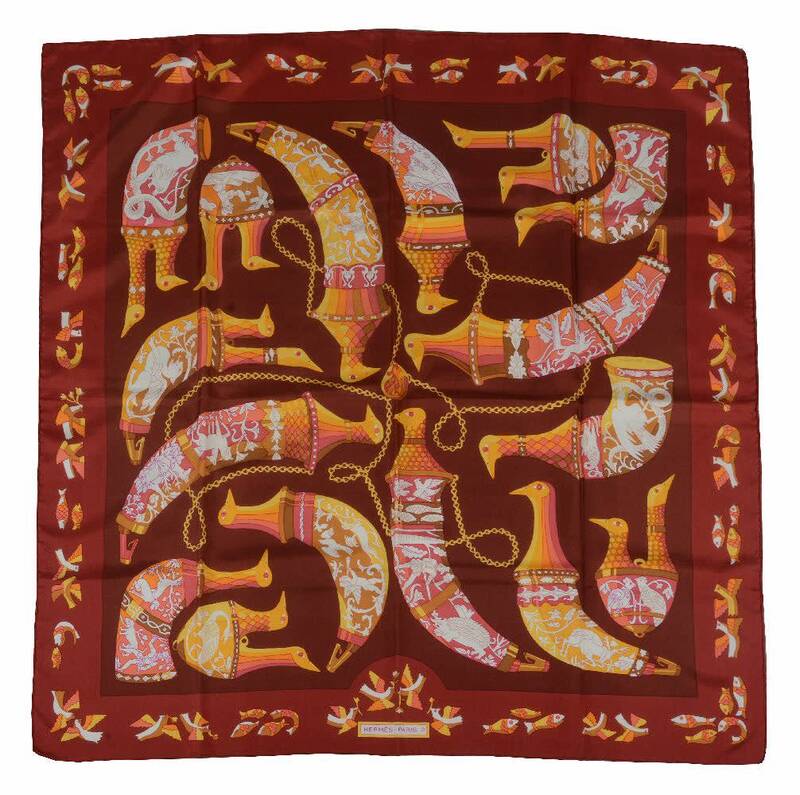 Auction house Dreweatts have a number of stunning Hermès scarves up for sale in their current auction, in addition to other luxurious accessories. If you get in quick, you might be able to strike up a bargain with the many lots on offer. 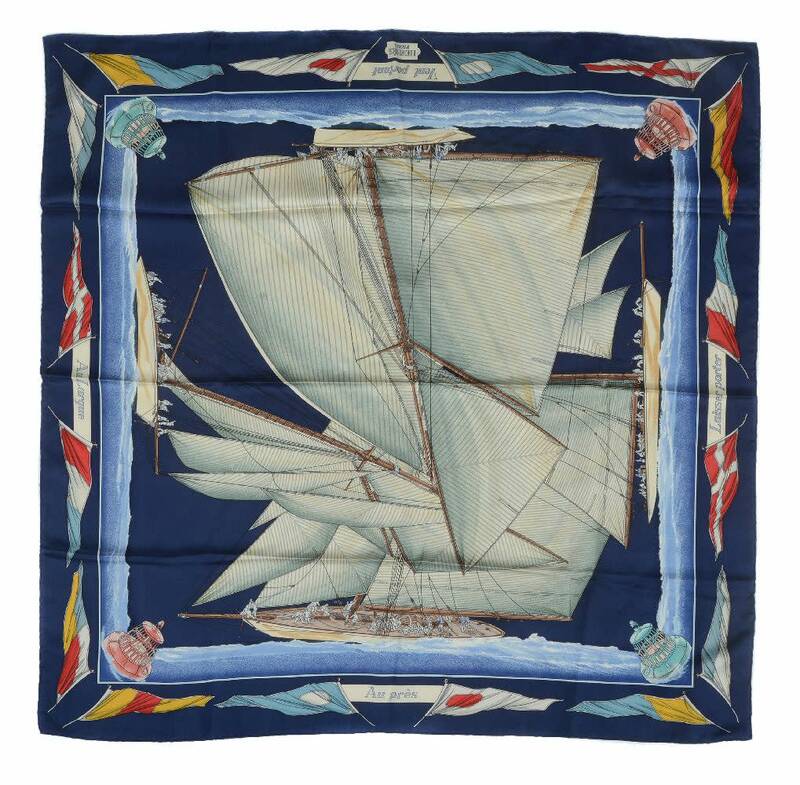 This ‘Cheval Fusion’ silk scarf was designed by Dimitri Rybaltchenko in navy blue and grey tones with rolled edges. It measures 90 x 88 cm and comes in an Hermès cardboard box. 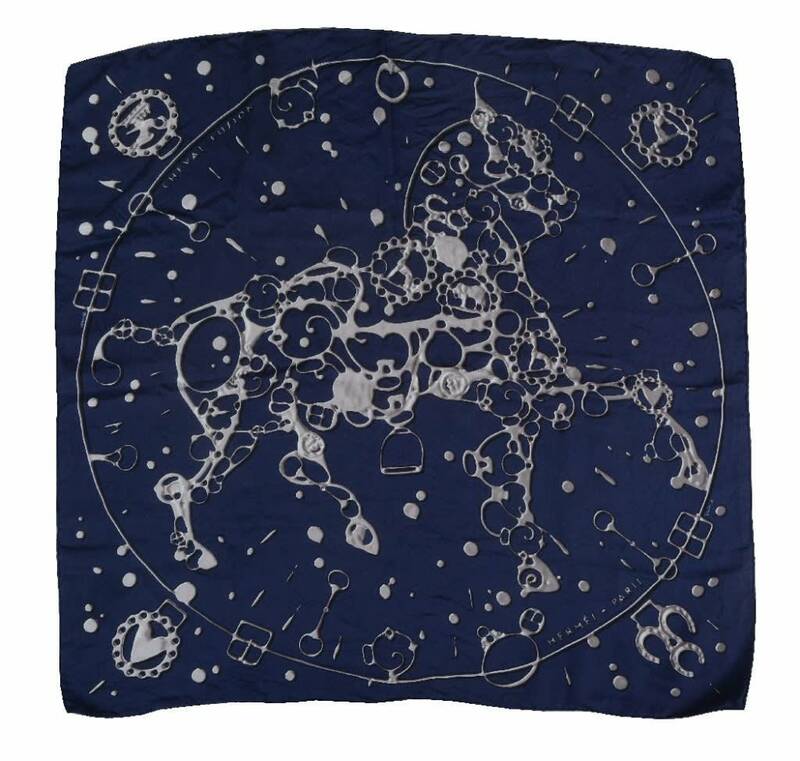 This silk scarf, named ‘Rhytons’, was designed by Karin Swildens. It depicts birds’ heads atop of rhytons against a burgundy background, with oranges, pinks and yellows tied into the patterns. Finally, this ‘British Heradary’ piece was designed by Vladimir Rybaltchenko. It is a stunning combination of gold, red and grey atop of a black background. If you’d prefer something with more intricate patterns, softer colours, sharper contrasts - or anything in between - you’ll be sure to find whatever Hermès scarf you desire within the collection.